1When can I start learning to drive? 3How many hours of driving lessons are generally required for someone who has never driven before to learn to drive and get ready for the test? 4How many weeks or months in advance of the test would you recommend starting lessons? 5Is it recommended to start learning with a parent before attending lessons? 6Is it best to do some lessons first and then practise with a parent or friend? 7Which is better: an intense course of daily lessons or spreading lessons out weekly, allowing for more practice time in between? 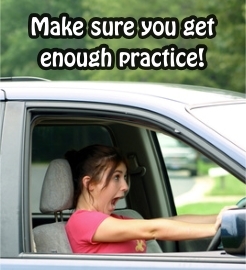 8If you are on a tight budget, what do you recommend as a course of action for learning how to drive? 9What is the average cost of lessons in total for Learners when learning to drive?